Her admission shed light on the weak link of the abortion industry and specifically Planned Parenthood (i.e. medical waste companies). Abortionists depend on them to dispose of their victims’ bodies. The Ohio Attorney General reported in Planned Parenthood Investigation Summary Regarding Disposal of Aborted Fetuses that Stericycle disposes of fetal remains for Planned Parenthood facilities in Ohio. Stericycle is Planned Parenthood’s main medical waste service provider in America. 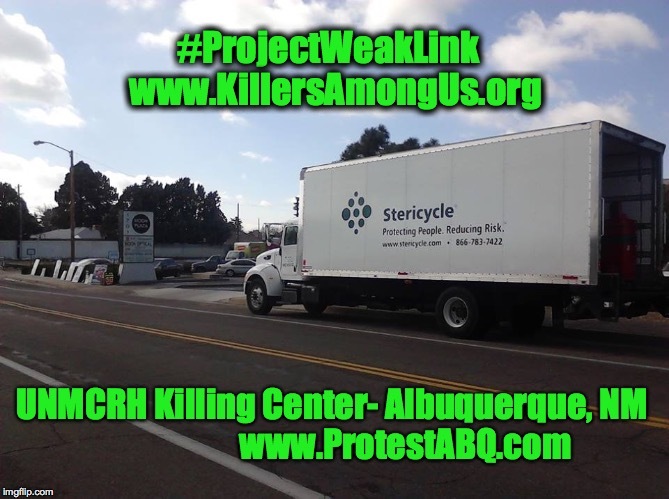 Stericycle’s collaboration with Planned Parenthood and the abortion industry through its collection, transportation, and disposal of aborted children and the instruments used to kill them is well documented (see Evidence). 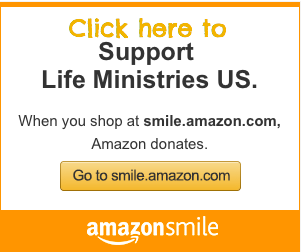 Providing this service enables the killing of preborn children. Planned Parenthood depends upon medical waste companies to dispose of dead babies. Question: What if Stericycle were to stop doing the dirty work of Planned Parenthood? Answer: Planned Parenthood would be unable to dispose of the babies they kill, and the murder of millions of innocent children by Planned Parenthood would likely halt. Contact Stericycle CEO Charles Alutto at 847-607-2004 or calutto@stericycle.com (sample script for calls and emails: view) and respectfully request Stericycle discontinue providing Planned Parenthood their services to dispose of aborted children and the instruments used to kill them (see important note below). Sign the petition to stop Stericycle from collaborating in the deaths of millions of babies by abortion. Donate to Created Equal, PO Box 360502, Columbus, OH 43236 or click HERE to give electronically. Your gifts are tax deductible to the fullest extent of the law. Last summer and fall, Created Equal helped lead 100,000 activists to protest at over 600 Planned Parenthood clinics in each of the fifty states. This coalition is capable of mounting serious opposition to Stericycle (See ProtestPP.com). If we don’t act NOW to pressure these medical waste companies to sever agreements with Planned Parenthood, we will have missed a historic opportunity to stop the killing. Despite being caught red-handed by the Ohio Attorney General, Selin Hoboy, Vice-President of Legislative and Regulatory Affairs, has said that Stericycle “does not accept fetuses” in accordance to their Regulated Medical Waste Acceptance Policy. This is merely a semantic ploy. According to the policy, Stericycle will not accept “complete human remains,” which includes fetuses. However, babies are not “complete” after being dismembered, decapitated, and disemboweled in standard abortion methods. Their broken parts and torn tissue are categorized by Stericycle as “pathological waste”—defined as “human or animal parts, organs, tissues, and surgical specimens”—which they do accept. So while they may not be picking up intact fetuses, they do accept aborted babies’ fragmented body parts. Stericycle uses this technical exemption to justify their continued collaboration in child-killing. Don’t allow Stericycle to get away with the lie that they don’t dispose of aborted babies for Planned Parenthood or other abortion providers.